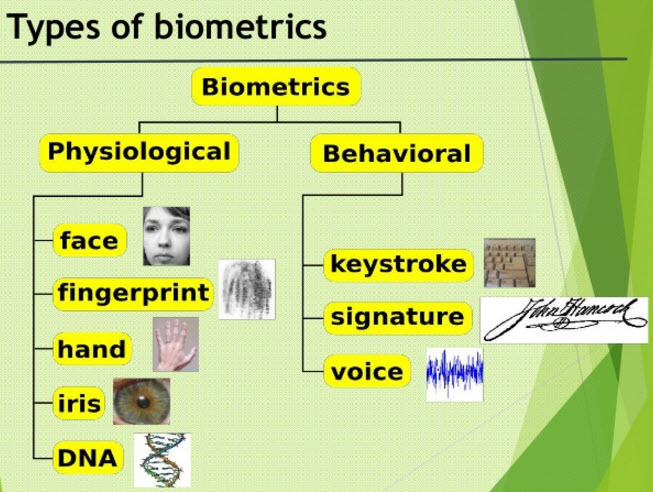 The word biometric is derived from the Greek words bio and metric. Where bio means life and metric means to measure. Biometrics are used to identify his or her physical and behavior characteristics of a person. This method of identification is chosen over traditional methods, including PIN numbers and passwords for its exactness and case sensitiveness. Based on the designing, this system can be used as an identification system or authentication system. These systems are divided into various types which includes vein pattern, fingerprints, hand geometry, DNA, voice pattern, iris pattern, signature dynamics and face detection. This article discusses about what is biometric sensor, different types of biometric sensors and its working. A biometric sensor is a transducer that changes a biometric treat of a person into an electrical signal. 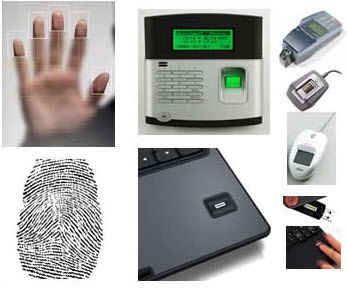 Biometric treats mainly include biometric fingerprint reader, iris, face, voice, etc. 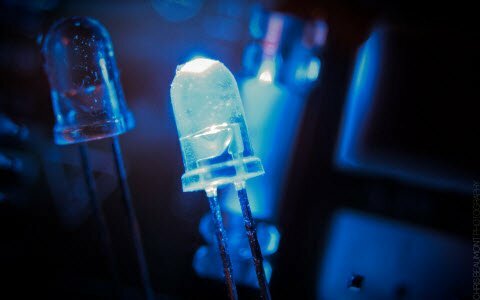 Generally the sensor reads or measures light, temperature, speed, electrical capacity and other types of energies.Different technologies can be applied to get this conversation using sophisticated combinations, networks of sensors and digital cameras. Every biometric device requires one type of sensor. 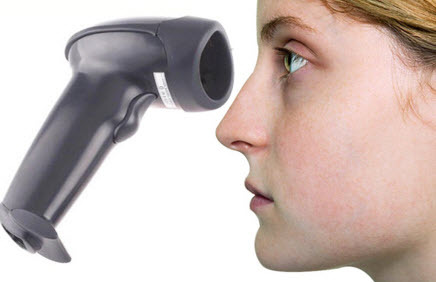 The biometrics applications mainly includes: used in a high definition camera for facial recognition or in a microphone for voice capture.Some biometrics are specially designed to scan the vein patterns under your skin. Biometric sensors are an essential feature of identity technology. Biometric sensors or access control systems are classified into two types such as Physiological Biometrics and Behavioral Biometrics. 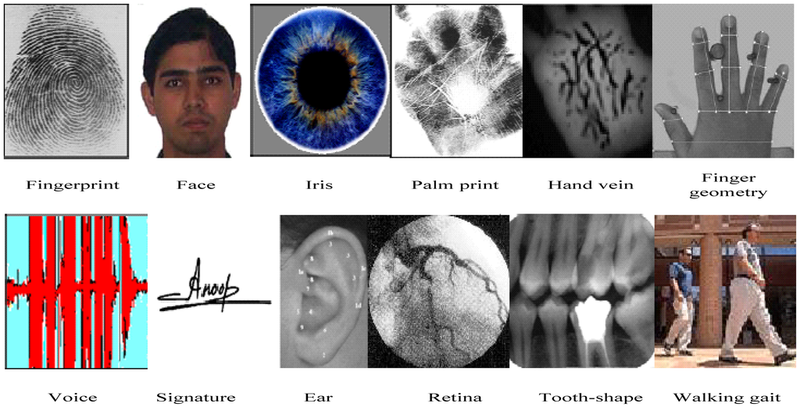 The physiological biometrics mainly include face recognition, fingerprint, hand geometry, Iris recognition and DNA. Whereas behavioral biometrics include keystroke, signature and voice recognition.For better understanding of this concept,some of them are discussed below. 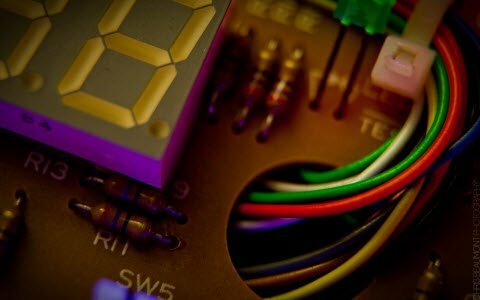 To capture the fingerprints, present methods employ optical sensors that use a CMOS image sensor or CCD; solid state sensors work on the principle of transducer technology using thermal, capacitive, piezoelectric sensors or electric field ; or ultrasound sensors work on echography in which the sensor sends acoustic signals through the transmitter near the finger and captures the signals in the receiver. Scanning of the fingerprint is very stable and also reliable. 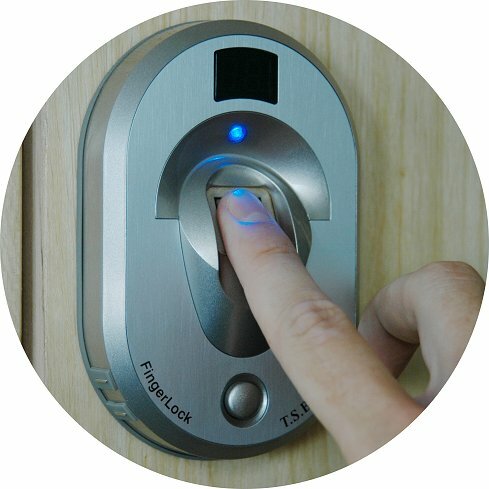 It safeguards entry devices for building door locks and access of computer network are becoming more mutual. At present, a small number of banks have initiated using fingerprint readers for approval at ATMs. Face recognition system is a one type of biometric computer application which can identify or verify a person from a digital image by comparing and analyzing patterns. 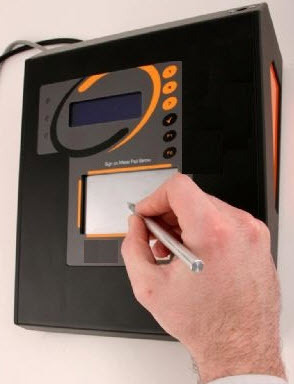 These biometric systems are used in security systems. Present facial recognition systems work with face prints and these systems can recognize 80 nodal points on a human face. 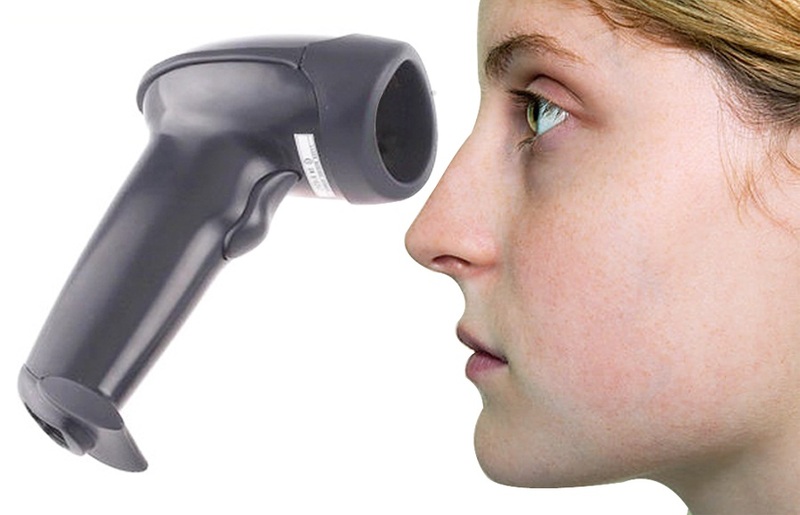 Nodal points are nothing but end points used to measure variables on a person’s face, which includes the length and width of the nose, cheekbone shape and the eye socket depth. Face recognition systems work by capturing data for the nodal points on a digital image of a person’s face and resulting data can be stored as a face print. When the conditions are favorable, these systems use a face prints to identify accurately.Currently, these systems focus on smartphone applications which include personal marketing, social networking and image tagging purposes. 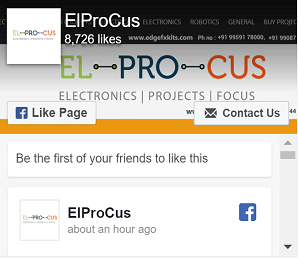 Social sites like FB uses software for face recognition to tag the users in photographs. This software also increases marketing personalization. For instance, billboards have been designed with integrated software that recognizes the ethnicity, gender and estimated age of onlookers to deliver targeted marketing. 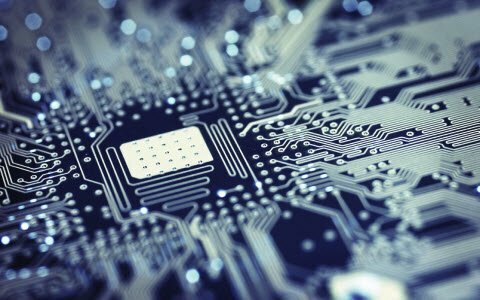 Don’t Miss: Latest Electronics Projects for Engineering Students. Iris recognition is a one type of bio-metric method used to identify the people based on single patterns in the region of ring shaped surrounded the pupil of the eye. Generally, the iris has a blue, brown, gray or green color with difficult patterns which are noticeable upon close inspection. Please follow the below link to know more about iris recognition technology.Please follow the link to know more about: IRIS Recognition Technology. Voice recognition technology is used to produce speech patterns by combining behavioral and physiological factors that can be captured by processing the speech technology.The most important properties used for speech authentication are nasal tone, fundamental frequency, inflection, cadence. 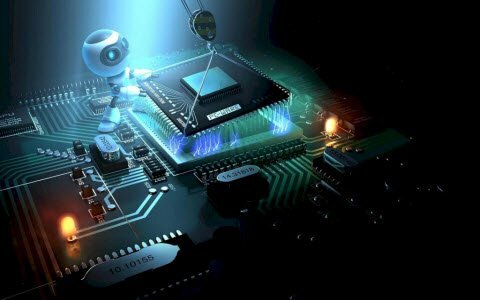 Voice recognition can be separated into different categories based on the kind of authentication domain, such as a fixed text method, in the text dependent method, the text independent method and conversational technique.Please follow the link to know more about:Voice Recognition technology. Signature recognition is a one type of biometric method used to analyze and measure the physical activity of signing like the pressure applied, stroke order and the speed. 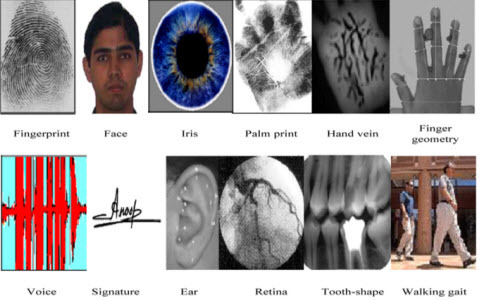 Some biometrics are used to compare visual images of signatures. Signature recognition can be operated in two different ways, such as static and dynamic. Thus, this is all about biometric sensors which can be used by several organizations to increase the level of security and also to protect their data and copyrights.We hope that you have got a better understanding of this concept. 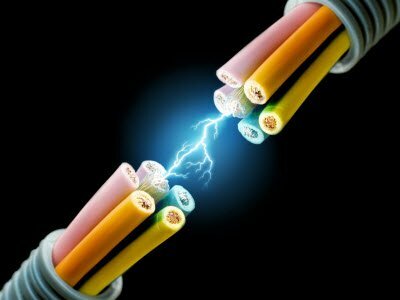 Furthermore, any doubts regarding the concept or electrical and electronic projects. Please comment in the comment section below. Here is a question for you, what are the applications of biometric sensors?